“Universal Health Coverage can only lead to health and well-being for all, when it is accompanied by progress in the social determinants of health and through respect for and fulfillment of the human right to health”, argues Diederike Geelhoed in the Global Health Minders Emerging Issue Brief on Universal Health Coverage. Download the brief on Universal Health Coverage. Link: Prof. Hans Rosling – the man who makes data dance! 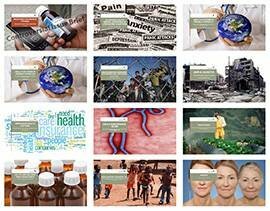 Did you see the episode of TWiGH (This Week in Global Health) on 25 February 2015 with Professor Hans Rosling? Hans Rosling really knows how to present data. Check it out and enjoy his amazing maps, dolls and other visual aids. Here is the link to the episode. Tom Paulson writes at www.humanosphere.org that the biggest story out of one of the world’s biggest conferences on HIV-AIDS, which was held in Seattle this week, was that new studies further demonstrated the benefit of taking the anti-HIV drug Truvada to prevent infection by HIV. For one gender, anyway. Unfortunately for women, who today account for about 60 percent of those infected with HIV worldwide, the studies only show a benefit for men. A medical/clinical concern that an increasing number of couples are seeking Medically Assisted Reproduction (MAR) and that some risk factors for infertility are increasing. An economic/demographic concern regarding decreasing birth rates, leading to reduced labor force. A human rights concern that couples have fewer children than they wish. When popular protest deposed former Burkinabé president Blaise Compaoré last year, many feared the country would see violent conflict. Lise Rosendal Østergaard argues that this was never inevitable. A sense of pragmatism evident in recent labour disputes shows that Burkinabés are more interested in getting on with their lives than turning to violence. Klaus Winkel, Former Head of Department in Danida, looks back in time and tells the story of Danish involvement in the field of international and global health through his own experiences and engagement. Download the GHM Invited Commentary: ‘A history of Danish development assistance for global health’. We produce and consume disasters whether we intend to or not. But it’s generally not the same groups of people that causing disasters and those sacrificing. Disasters, in all their grief, have a capacity to reveal inequalities and injustices of the world (e.g. Katrina did in the US and the earthquake in Haiti). While we wait for the little Ebola virus to give in under the pressure from the international community let us see if this disaster has unearthed hidden disparities in health, ugly faces of the international community or new lessons for global health that we need to address. In her speech at the 136th executive board meeting of the WHO in 2015, Director-General Margaret Chan said: “Well-functioning health systems holds together the community and protects against crises“, and noted that universal and equal access to health care reduce the effect of social determinants on health. 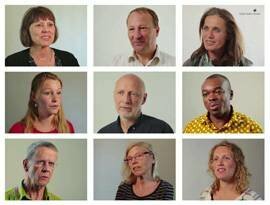 The current Ebola epidemic has given its own view on why we should invest in health. 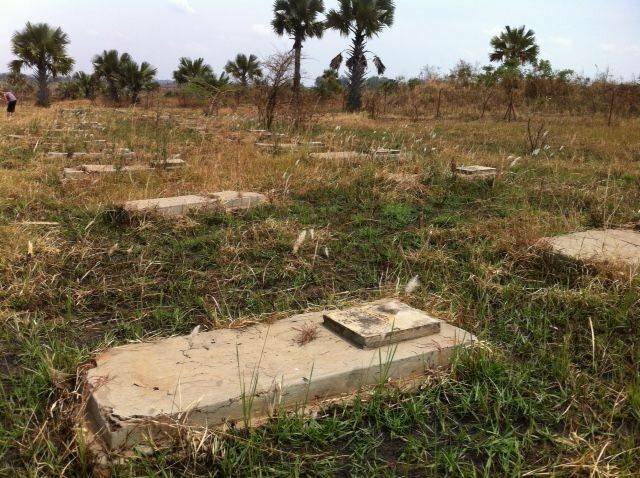 Picture: Ebola Graveyard in Gulu, Uganda established after the Ebola epidemic in 2000.